This list of Princess Cruise tips and tricks needed to be written. Even after two weeks on board the Island Princess we were still discovering things that made our lives better. These tips for cruising are not mysterious secrets of cruise ships, nor are they true cruise ship hacks. But rather they are things we might have known from the beginning had we read every word of the daily newsletter left in our cabin. And we were not alone, so we set out on a mission and asked officers, crew, and other passengers for their best Princess Cruise tips and tricks. While many of these tips may feel like Princess Cruise ship secrets exposed, in fact, all of this information is readily available onboard a Princess Cruise. This is a useful list of cruise tips for beginners and experienced cruisers. **Important Note: Most of these cruising tips apply to any cruise line. 1.2 2. 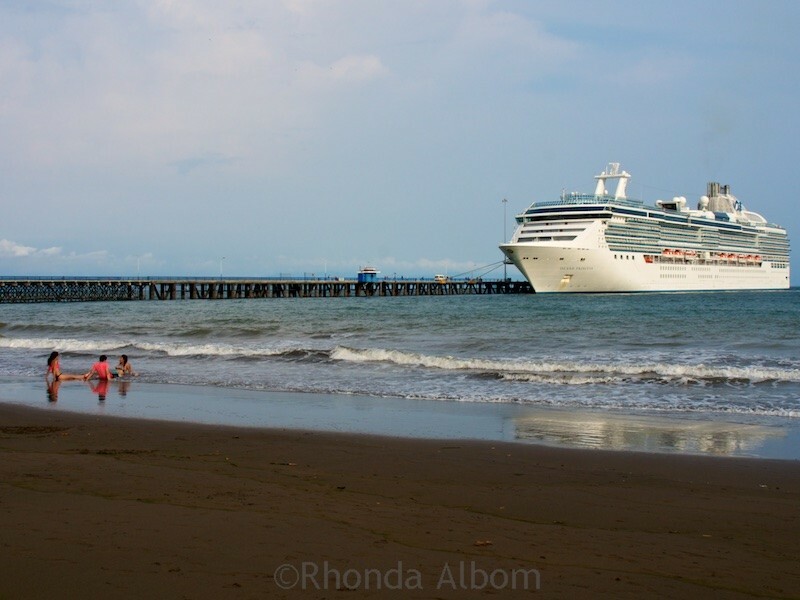 Learn something about the cruise ports before you sail. 1.3 3. Book a few things in advance of embarkation. 1.4 4. Explore independent shore excursion options and compare them to the ship’s choices. 1.8 8. Use packing cubes. 2.4 12. The speciality restaurants frequently serve lunch at no extra charge. 3.1 13. There are several Princess drink packages or discount cards available. Choose the one that is right for you. 3.2 14. If you purchase a bottle of wine at mealtime, the unfinished bottle can be saved for you. 4.1 15. Prepare for the sun, don’t let sunburn spoil your fun. 4.3 17. The limited spots in the “Sanctuary” book up early for the entire cruise. 4.5 19. Each ship has at least one deck offering outdoor access to the bow (front of the ship) and stern (back of the ship). 4.6 20. Onboard laundry uses tokens obtained by swiping your passenger card. 5.1 21. Maximize your internet usage. 5.2 22. On-board text messages to other passengers are free using the free Princess Onboard at Sea site. 6.1 23. The ship bartenders are like hidden concierges. 6.2 24. Princess Cruises gratuities are automatically added to your daily invoice and can be altered. This allows for delays. If your plane is late, the ship will not wait for you. It is not worth the risk. If you don’t already have your plane tickets, start with Cheapflights or download the Skyscanner App to find the lowest airfare. Once in the city, tour on your own, or join a pre-embarkation package from the cruise line. Hotels Combined will help you find the best hotel prices. 2. 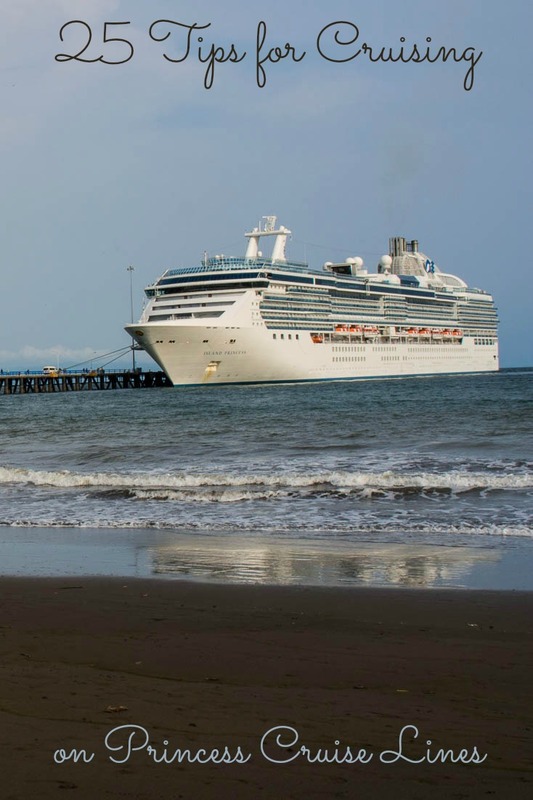 Learn something about the cruise ports before you sail. Reading up on your destinations not only adds to the excitement, but it also helps ensure you won’t miss anything. 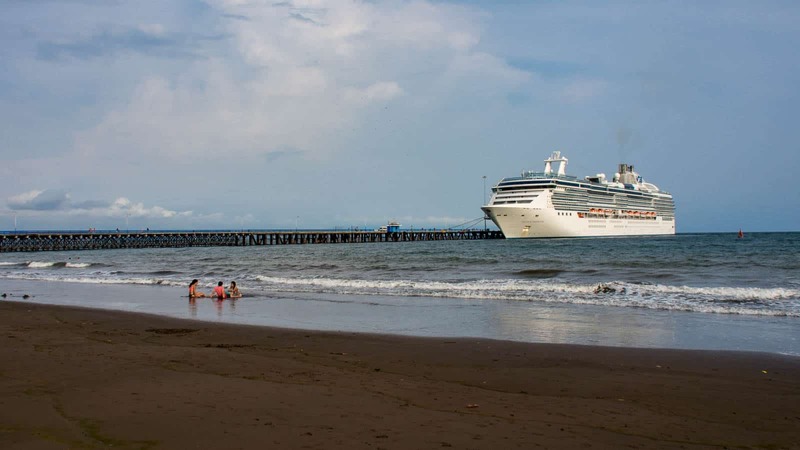 While there are plenty of articles and books on every city in the world, we have found the most useful books for cruise ports are those focused on cruise destinations. They spotlight things you can do in limited time, offer suggestions as to what can be booked ahead, and target the needs of cruise passengers. 3. Book a few things in advance of embarkation. 4. Explore independent shore excursion options and compare them to the ship’s choices. 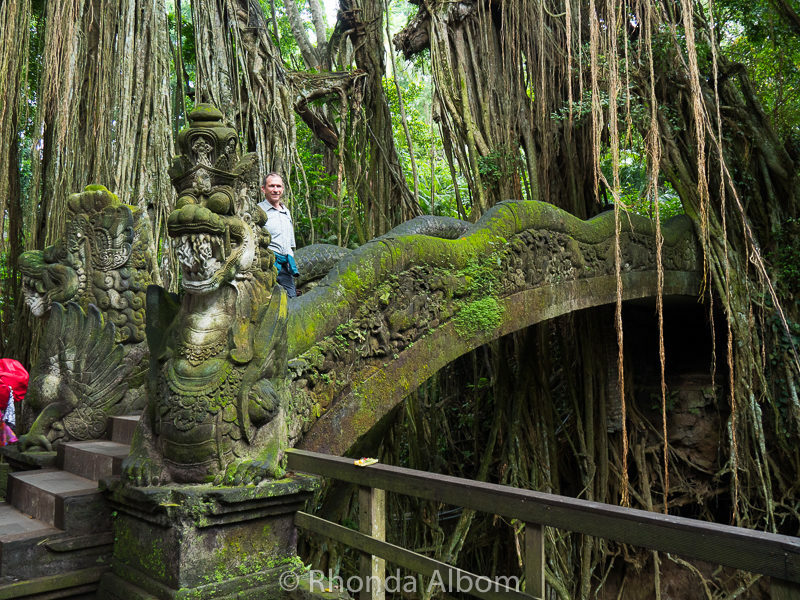 Hubby is standing on this amazing bridge in the monkey sanctuary in Ubud Bali. We opted for a private shore excursion so we visited here with smaller crowds than those who came on the cruise excursion bus. Make sure it includes first aid supplies and over-the-counter medication for a headache, sore throat, fever, and diarrhea. If you take prescription medication, bring a paper copy of the prescriptions. While you can get most items at the shop onboard or from the ship’s doctor, they will be overpriced, and if they run out of what you need, it could be days before you get to a port. We always make our own kit, but if you prefer a premade one, this small first aid kit from Amazon.com looks complete for injuries. If not, consider getting Travel Insurance before you leave home. We have needed to use our travel medical insurance in the past and have been to hospitals in the USA, Germany, Australia and Bonaire. Other passengers we know have had luggage lost or other problems. We have always been happy with World Nomads Travel insurance. On a recent trans-pacific crossing, our ship was diverted to an unscheduled port to get a passenger to the hospital. I hope he had insurance. 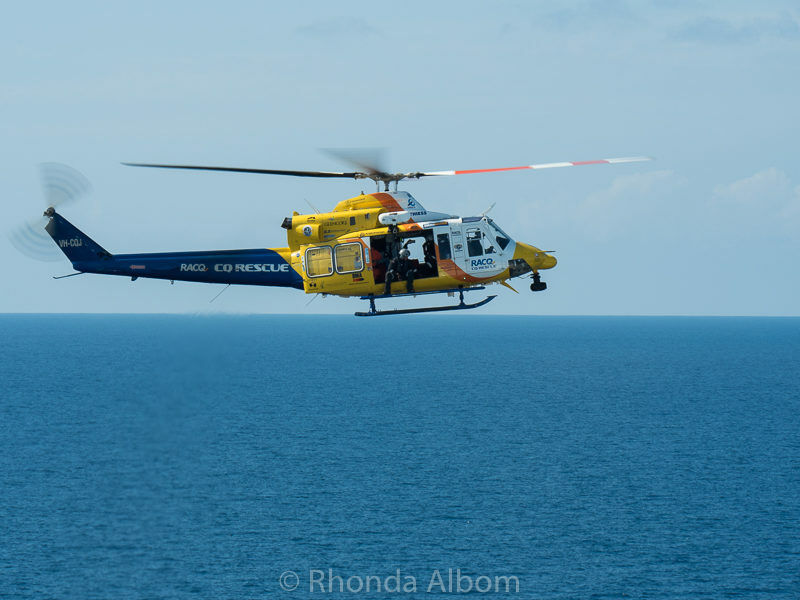 A passenger needed a Medical rescue from the ship as we circumnavigated Australia. Traditional dining means you will be assigned a table and dining time. The advantage is a waiter and dining companions that you come to know. We chose traditional dining on a 21-day cruise from Los Angeles to Auckland, and it was great. Our dining companions became our friends and made our cruise days more fun. In contrast, Princess Cruises Anytime Dining allows you to head to the dining room at your leisure. The advantage is being less scheduled. Regardless of your dining plan, there are plenty of alternate dining options onboard. 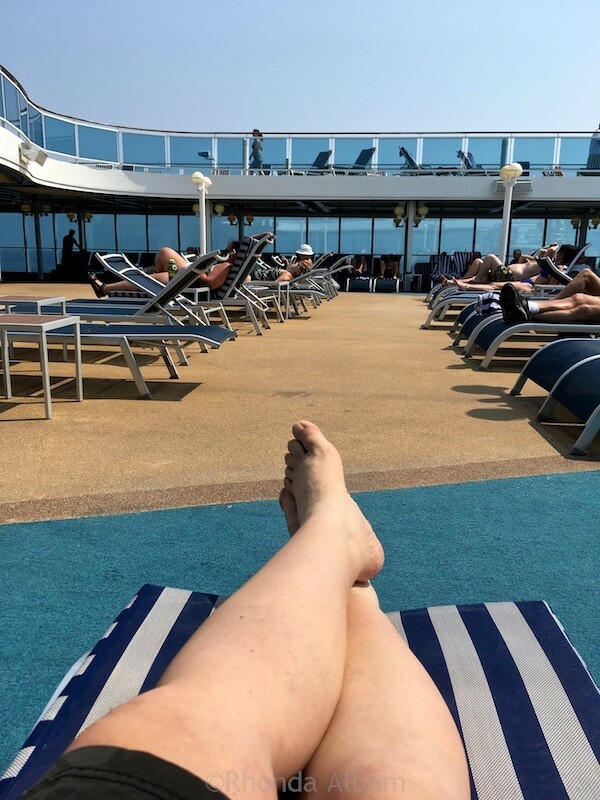 Included in your cruise fare is a casual buffet; pizza, burgers, pastry, or ice cream bars near the pools; afternoon tea service; room service; or, snacks at one of the bars. Or, for an extra fee, you can enjoy a speciality restaurant, coffee shops, or even balcony dining. 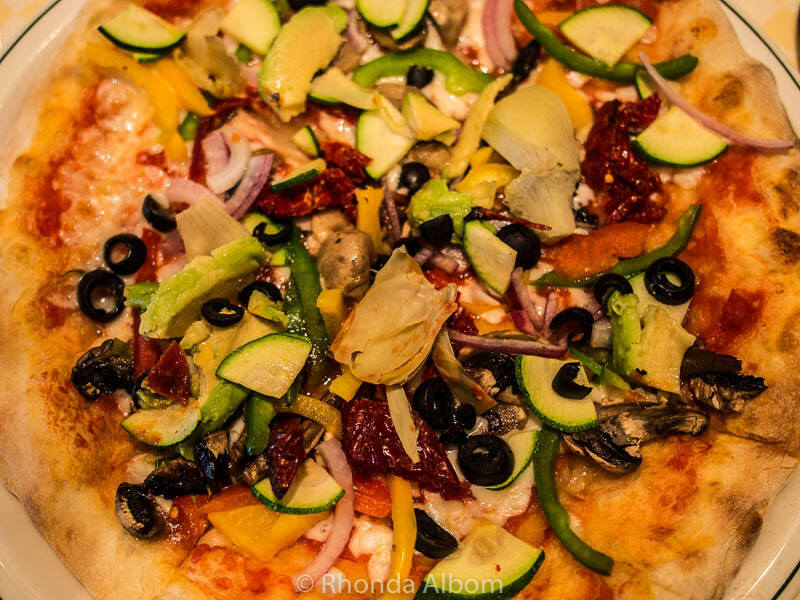 You can even order extra vegetables, a second lobster tail, or one of each dessert. Although, you might want to check out these tips for eating onboard without gaining weight. This allows you to be seated first at your requested time, rather than waiting in a long queue. 12. The speciality restaurants frequently serve lunch at no extra charge. On the Island Princess, this included Italian Pizza or a British Pub lunch. 13. There are several Princess drink packages or discount cards available. Choose the one that is right for you. These are available to help combat the extra fees charged for many beverages served onboard. Coffee Card: 15 speciality coffees, plus unlimited filter coffee and hot chocolate. This card is allowed to be shared, as it’s not unlimited, and hubby and I shared ours. Soda and More Card: Unlimited soft drinks, mocktails, juices, and hot chocolate. Wine Card: Saves money on bottled wines. All-Inclusive Beverage Package: Any soda, bottled water, cocktails, spirits, wines, beers, speciality coffee, and tea up to $10 each. Although it is expressly against the rules, we saw families purchase one card to share. Bottled Water Card: Available only before embarkation. 14. If you purchase a bottle of wine at mealtime, the unfinished bottle can be saved for you. The ship will keep unfinished bottles at the restaurant under your name, or you can bring it back to your cabin for any time drinking. If you ask your cabin steward, he will provide wine glasses and a bucket of ice. On our most recent Princess cruise, passengers were allowed to bring up to one bottle of wine per cabin onboard for consumption. Be sure to check the rules of your ship. 15. Prepare for the sun, don’t let sunburn spoil your fun. Depending on where you live, and where you are cruising too, the sun may be much stronger than you are used to at home. On sea days you may find yourself lounging at the pool or doing some other outdoor activity. Nothing spoils cruise fun quite like a bad sunburn. Therefore, we recommend you bring plenty of sunscreen, a sun hat, pool sandals, and a lightweight swimsuit cover-up that can serve as both sun protection and allow you to walk through the halls in your swimwear. What you don’t need to bring is a beach towel, as they are available at the pools and can be taken ashore at ports. Best of all, it’s at no extra charge. 17. The limited spots in the “Sanctuary” book up early for the entire cruise. It is a posh, adults-only lounge for an extra fee. If you think this is where you want to be, consider booking early. They are nearly every night on a huge screen over the pool. Padding, removable pillows, and blankets convert the lounge chairs to a comfortable nighttime movie watching option. They even provide popcorn. 19. Each ship has at least one deck offering outdoor access to the bow (front of the ship) and stern (back of the ship). On the Island Princess, decks 10 and 11 forward were optimal for watching the ship enter the Panama Canal, while deck 8 at the stern was the perfect spot as we left Cabo San Lucas. To access these outdoor decks, we passed through an unlabelled door at the end of the hallway. 20. Onboard laundry uses tokens obtained by swiping your passenger card. There is no need to bring small change. 21. Maximize your internet usage. Charges for the onboard internet are calculated on a per-minute basis. Princess Cruises wifi speed is affected by the number of users at a given time. Early in the morning or late at night will give the fastest speeds. If you purchase wifi onboard, put your phone or device in airplane mode when not using it. This will protect you from accidental usage or unexpected (and very expensive) updates. If you can, log off while onboard. It makes it easier to relax and enjoy your cruise. If you want to check email without paying the ships prices, pop into a McDonalds, or other onshore location with free Wifi. 22. On-board text messages to other passengers are free using the free Princess Onboard at Sea site. Bring your mobile device and you can also access daily schedules, your account, and the ship’s itinerary at no charge. 23. The ship bartenders are like hidden concierges. 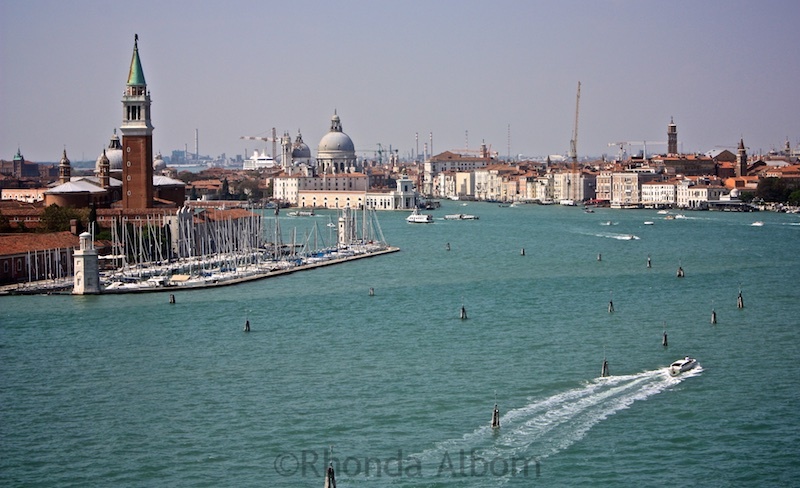 They are an excellent source of additional cruise excursion tips or advice on ports. They learn the best and the worst while talking to passengers every day. Also, many crew members have been to the various ports multiple times. 24. Princess Cruises gratuities are automatically added to your daily invoice and can be altered. Or, they can be completely removed – simply ask at the main desk. Even prepaid gratuities can be altered if you desire, but it’s a bit more complicated. There is no risk as Princess will refund unused deposits after two years. Importantly, the deposit must be in the currency of the country of your residency, and you must enrol while on board. New Year’s Cruise in Rio de Janeiro on the Azamara Pursuit from Buenos Aires Argentina (return) with two ports in Uruguay, and five ports in Brazil. Pacific Crossing on the Golden Princess sailing from Los Angeles, California USA to Auckland, New Zealand with ports in Hawaii, French Polynesia, and American Samoa. Panama Canal Crossing on the Island Princess sailing from Fort Lauderdale Florida to Vancouver Canada with ports in Aruba, Cartegena Colombia, Puntarenas Costa Rica, Cabo San Lucas Mexico, and Los Angeles California. Australia over the top from Sydney to Perth on the Royal Caribbean Radiance of the Seas with ports in the Australian cities of Brisbane, Cairns, Darwin, Port Hedlands, and Geraldton. Plus we stopped in Bali Indonesia. Alaska’s interior passage on the NCL Sun sailing from Anchorage (Whittier) to Vancouver Canada. After first cruising alongside Hubbard Glacier, we had port stops in the Alaskan cities of Icy Strait Point, Juneau, Skagway, and Ketchikan. The Mediterranean including both the Adriatic and Aegean Seas on the NCL Spirit sailing from Barcelona Spain to Venice Italy with ports in Toulon France, Italy (Livorno, Rome, Naples), Greece (Athens and Mykonos) and Turkey (Istanbul and Ephesus). Norway on the MSC Opera sailing to and from South Hampton England to ports in Haarlem Netherlands, and Norwegian cities of Flam, Bergen, Stavanger, and Oslo. In the past, we also cruised to the Mexican Riviera and multiple Caribbean cruises, plus we toured the HAL Oosterdam. Did we miss anything? Do you have any tips for cruising to add to the list? Disclaimer: In addition to VIP treatment onboard the Island Princess, the ship provided us with many complimentary extras. The opinions and observations expressed here are strictly my own. The tips and benefits listed above are all subject to change. Be sure to read the current rules before you sail. The way you write it really makes me want to take a cruise, rest, enjoy and eat all day. I know a lot of people are in love with packing cubes but you still look like an unmade bed (or at least a “folded” bed!! We travel with a spray bottle of Downey Wrinkle Release. You simply put your clothes on hangers the night before you wear them, spray them and the next morning they look like they have been ironed!! Here are a few additions that I have learned about over the years. 1. If you have an inside cabin, turn your tv to the bridge camera. 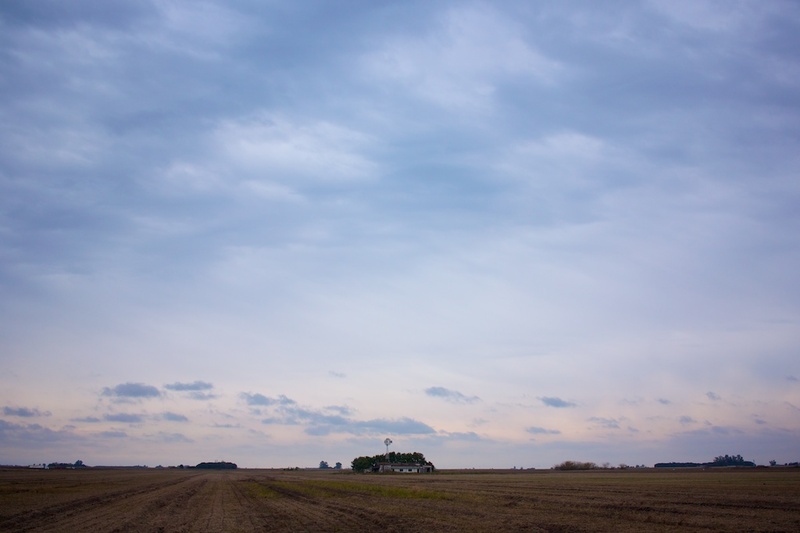 As the sky lightens on the camera, your room will lighten as well. 3. Many companies allow you to bring a bottle of wine per person onboard. Check the rules, as again this changes. 4. If you order a food item you have been brave enough to try but find you don’t like it, just order something else. This is a great time to experiment with food. You may love escargot or Creme Brûlée. 5. You can cruise without spending extra money, but if you do, keep track of your purchases on your tv screen. Drinks and pictures add up fast. 6. Most ships charge for cell phone service at unbelievable rates. To avoid nasty surprises on your bill, put your phones and tablets in airplane mode. 7. Many people wear their sign and sail card on a lanyard. 8. I like to take battery votive candles for night lights. 9. Make sure your watches are set to SHIP time. People have missed the ship from having the wrong time. 10. Watch for lower prices for your particular cruise. There are several apps to help. You can sometimes re-book and save money. Thanks PJ, some great additions to the list that apply to all cruise lines. Great reminder about Ship time. Great tips Rhonda. The only thing stopping me from attempting to be on board is may be my mindset that I’ll feel extremely uncomfortable in the seas. The movement of the waves causing the cruise-liner to go up and down may make me feel like passing-out. I know that’s just a mindset but yeah, someday I will change it… The pictures here too lovely, especially the first one. Cruise ships today are so big that unless there are huge seas, you rarely feel the movement onboard. There are short 3 day cruises. You could try one of those. It looks like it was an amazing experience! This cruiseline seems very family friendly. I would love to try a cruise one day! We have been on 5 different lines, and Princess is my favourite. have you ever been to Alaska ? We recently cruised Princess for the third time and were allowed one bottle of wine per passenger to bring onboard! You can consume it in your stateroom to avoid corkage. Room service will open it for you and bring wine glasses. We tip them for that. As for the lounge chairs, if all are “reserved” with a towel, I simply move them and sit. Haven’t had a problem, as the people are usually not even at the pool. Regarding the drink cards, it should be noted that they are per person and not to be shared. Sure, you can try to scam the system and maybe succeed, but it’s important to know that you may have a problem if caught. We found that the card was to our advantage, as we enjoyed daily specialty coffees, bottled waters and cocktails. You also get a discount on wine with the card. We love cruising too. Thanks for the additional tips. As for the drink cards, they each have different rules. The coffee card can be shared as it is for a specific number of coffees. In fact, we always ordered both my specialty drink and hubby’s free filter coffee at the same time. It was the bar tender who suggested we share. We didn’t have an alcohol card, but we certainly saw many couples ordering one alcoholic and one alcoholic drink at the same time. We have never been on a cruise. We did however get invited to the culinary immersion experience on board that Golden Princess, which gave us a glimpse of life on board. Great tips that we may use one day. We had a culinary experience on a Holland America ship and got a tour of it as well. Yes, it gives an idea, but life onboard is actually much more fun than it just appears on a tour. I sound like an expert because I asked the experts onboard and took notes. As for internet, they do use it as an incentive for frequent travelers. The more you cruise with the same line, the more bonuses they give you. It’s a great way for a good company to build loyalty. Watch the sales as this is sometimes offered as is the drink package. The all inclusive picture package is not offered and if prepurchased it is usually a $50savings. Our cruise was discounted almost $600 before we had to pay in full. Our wonderful TA got it fir us, We had prepaid our gratitudes, the Princess offered free prepaid gratitudes, right after we paid in full. She called them and they refunded it in the form of OBC. Sadly, our cruise has gone down some more but the refunds were not given because we had already paid in full. We were offed a suite but is was on the same side as our balcony and it was going to cost us $1000. More so we said unless it was at the bow or the aft we were. It interested. This is a Panama Chanel cruise so those we our preference. These are wonderful cruise tips. I only cruised once–on the Queen Mary 2 in her inaugural year, 12 years ago. I am way overdo! Hopefully we can plan one soon. I’d like to cruise to Alaska. I linked up tonight. Hope to join in more frequently! Oooh, that would be an exciting cruise on Queen Mary 2. We loved our Alaska cruise. 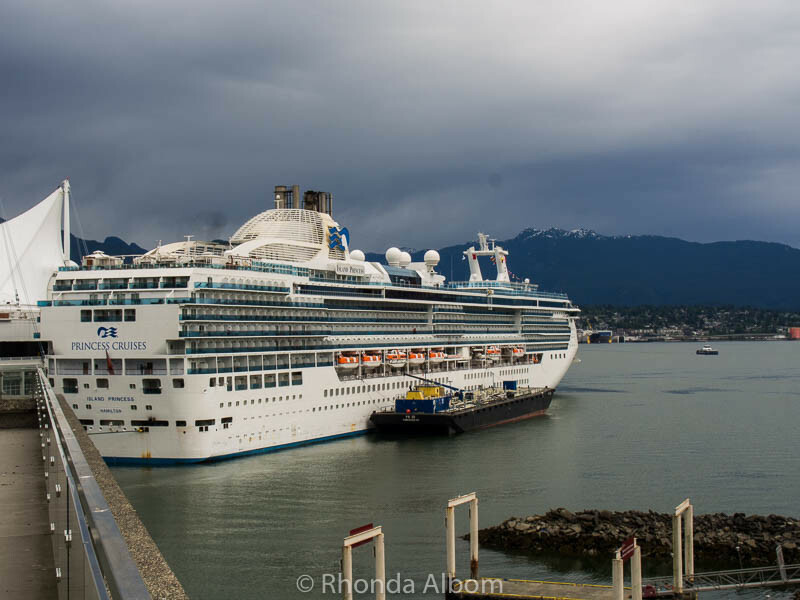 We spent a week first and cruised from Anchorage to Vancouver, Canada. How did you decide how much to pack? We lead with 5 days on land then 7 days cruise I,m very nervous about this??? I pack very little and I dress in layers. One trick is to pick a colour theme, so everything matches. For me, it is usually black, white, and one other colour. My shoes are always athletic/walking shoes, sandals, and black flats. Don’t worry. You can pick up whatever you need on the ship, or in port. I’m not a cruiser so I was interested to read your whole post. There is so much more to it than what I would have thought. An excellent resource for anyone thinking of taking a cruise. Thanks Jan. Actually there is plenty to do onboard a cruise ship. Boredom is never the issue. For me the major downside is the limited amount of time off the ship. It’s a trade off. You are very correct Rhonda. We have learned a great deal after cruising 10 times, 11 times January 28th 2017 on the Carnival Vista. 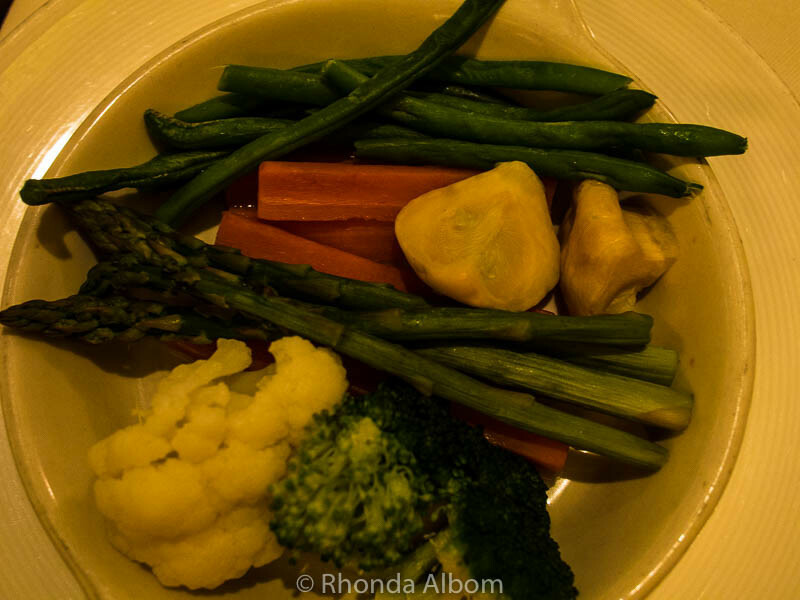 One thing that I really learned form my first cruise was to watch what you eat. I gained 10 lbs on my first cruise and my slacks wouldn’t fit when I got home so I learned from that. You just have to watch and you can still enjoy the cruise. I stayed away from the all desserts. It was hard but it helped and I still enjoyed the many foods. Great ideas Rhonda. LOL – it sure is easy to gain weight on a cruise ship. The food is fantastic, and so plentiful. Great advice, Rhonda. Many these tips are kind of common to all cruise lines from all I’ve noticed. Once you’ve done a cruise you learn the ins and outs of cruising and next time around you know what to do. I am not a great fan of cruises however. I profoundly dislike the idea of going where other people want to take me and follow their rules. I like to make my own itinerary, which obviously is not possible on a cruise. I debated whether to call it tips for cruising or for Princess. For us we learned new things each time, and even after 8 cruises I was still surprised by a few of these that I learned from talking to officiers. Hi Anda, sure you can make your own itineraries on a cruise. After 12 cruises, all you need to do is research your port and find what interests you. You can walk or use taxis to get you to your desired destination. 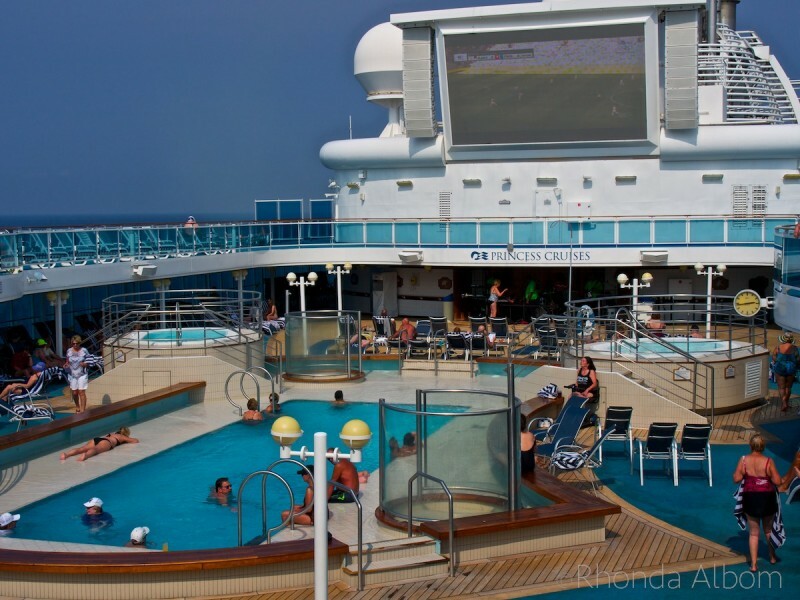 Give cruising another try, it’s my most favorite venue for a vacation and Princess Cruises is my cruise line of choice. I’m a bit surprised they charge extra for beverages and that because people can pre-book things, others may not be able to partake while on board. i worked for years in the resort community. Their on site stores overcharge by a lot but there are always places you can go off the grounds to buy things. Not so on boats, I guess. You’re pretty much stuck and have to pay the going rate. I should clarify, if you don’t pre-order you don’t get the special deal. Anyone can get bottled water onboard the ship (we drink and filled our bottles with the tap water). And while things are more expensive onboard, the ships do stop in ports, so you can get most things off the ship if you want. I love cruising also, and agree that Princess seems to do it well. Glad you had a good experience too. We had 19 nights on the Island Princess and it lived up to expectations. Why not go on a honeymoon cruise? These are all great and practical tips. We’ve sailed Princess several times and love them. You’ve covered so many. I have only been on one cruise- that was a Holland America cruise going from Santiago Chile to Rio de Janeiro Brazil. 16 great days and what a feast every night! NO rules whatsoever at that time- 2008- we were even allowed to bring wine on board for taking to the dining room if we wished and the corkage fee was only $10. The only thing I would do differently would be having a room with a view. Interior rooms were a bit claustrophobic! Amazing that there were no rules in 2008 but pretty cool. 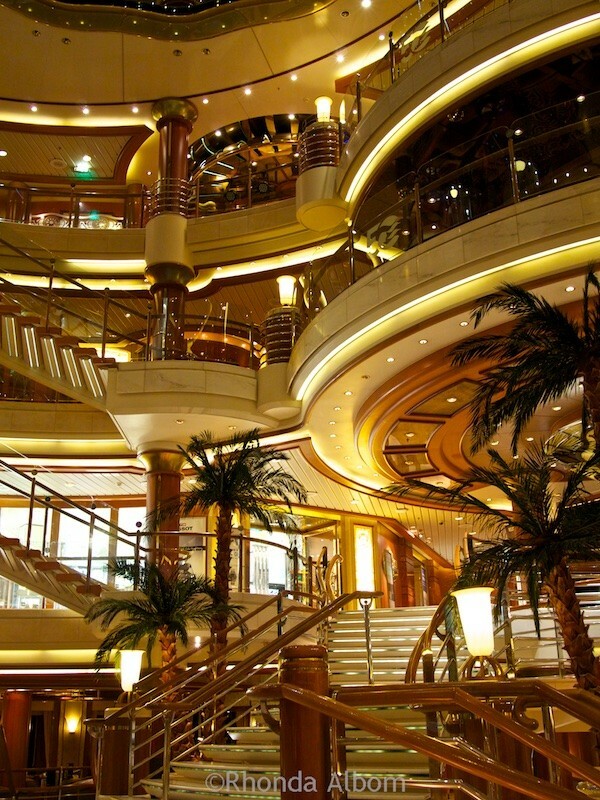 Good things to know if cruise ships are your thing. I know you had a bad experience, but maybe one day you will try again. Good tips Rhonda for someone like me who has never cruised I wouldn’t have a clue, although I did go on a 2 day one to Denmark and back heheh! Even people who cruise often may not know all of the little on-board secrets. Sounds like you could spend your whole day eating. You can. I think that is why so many people gain so much weight when they cruise. What a great post! I’ve always wanted to take a cruise, but I had no idea about these things! My great-aunt is a huge Princess Cruise fan, and I wonder if she knows all these things. Sometimes things you didn’t even think of seem obvious in hindsight and you just wish someone would have mentioned them. I’d go bananas if people were hogging lounges – I can’t stand that. If you aren’t sitting on it, what do you need it for??? So selfish. Good tips on the discount cards – I had no idea. There are so many rude people out there. It does surprise me that Princess doesn’t enforce their own rules, but it is quite common. We found the same issue on NCL and MSC in the past. I can see how people who have never cruised are not aware of certain important details. One time on a cruise, we were assigned to seat with two other couples during dinner. They didn’t now they were able to order more than one of everything. They got the hint when they saw my husband and I doing it. This was my ninth cruise and I learned many of these things for the first time. There are so many little tricks and things that make it just a bit more fun. A lightstick on the step-up to the bathroom helps to avoid stubbing your toe in the middle of the night. Battery operated votive lights are a nice touch in the bathroom too. Magnets stick to most wall surfaces (except in the bathroom). They also stick to your stateroom door. Have fun!